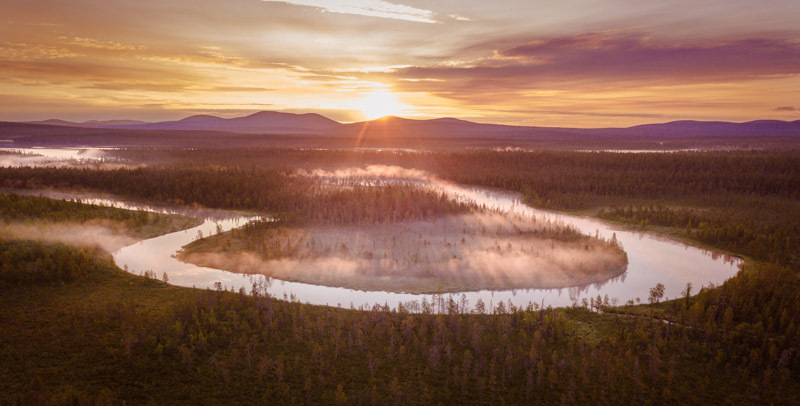 Lapland is a travel destination of contrasts and unique natural phenomena: The Polar Night, the Northern Lights, the Midnight Sun and Autumn Leaf Colour all have their place in the eight seasons of Lapland. A trip to Lapland is about wild adventures and exotic experiences. If you’re done with the ordinary, you just might be ready for Lapland. The length of the Artery river is 520km as counted from Lake Kilpisjärvi to the Bothnian Bay. 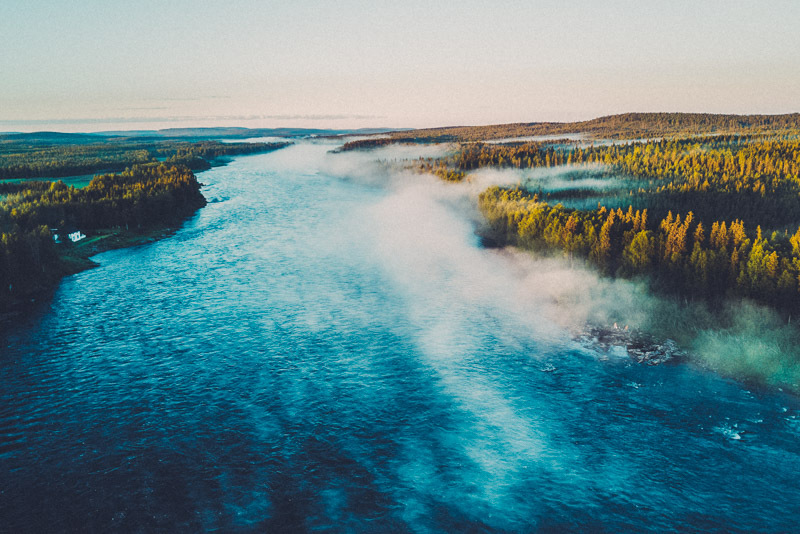 Total coverage of the river system is 40 157km² which of 14 480 km² located in Finland. Main fishing season in Finnish Lapland is from late May till September. #1 Respect the nature and the silence and other people enjoying it. #2 Enjoy the weather conditions, which may vary a lot. Dress accordingly and check the forecast from your service of trust. #3 Talk to the locals, use their services and get secret tips from them. #4 What you can carry into the wilderness, you should be able to carry back. Always. Why have four, if you can have eight of them? Usually the talk is about four seasons, but Lapland actually boasts with eight of them. The nature is overwhelming and unique at all times, and there are no words to describe these phenomena – you’ll have to experience them for yourself. SPRING: Spring time starts in May showing how the nature wakes up after a long winter. Melting snow affects usually some flooding in the rivers. NIGHTLESS NIGHT: Summer time starts in June and lasts till the end of July. This is the period when sun doesn’t set at all and gives you the opportunity to live without a clock. HARVEST SEASON: August is harvesting time here as elsewhere, opening the possibility to pick berries and everything else that grows in the forest. Colours of the nature start to burst up. COLOURS OF THE FALL: Main autumn month is September showing of the colours in the trees and fjells. This is the time to take phenomenal landscape photos and fish the lakes for pike. Note that the colorful time is shorter the norther you go. FIRST SNOW: First snow settles down up here in October-November. This is also a period of time when you have the opportunity to observe how the nature and animals get ready for the winter. POLAR NIGHT: Polar night, that is called “kaamos” by the locals, starts in December. This is the time when you can experience the endless night and the auroras. EARLY SPRING: Winter starts to turn towards spring in beginning of March and that transition with sunny skiing days last till the end of April. Ice fishing is the most popular style of fishing at this time of the year. You have a great chance to find big pike and perch at the lakes of the area. Up in Kilpisjärvi region you have the best time for ice fishing of Arctic char.